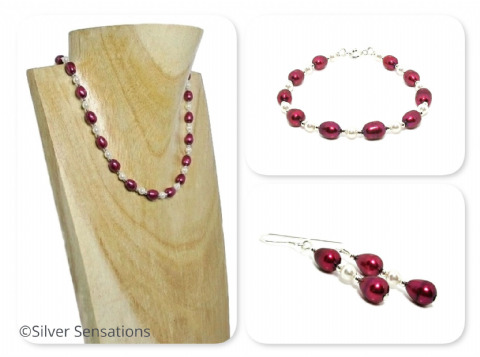 This is a small collection of my handmade jewellery sets. Each item in a jewellery set cannot usually be bought separately unless I have sufficient semi precious gemstones or Swarovski Pearls to make more. Mostly these sets which will include a combination of necklaces, bracelets & earrings.